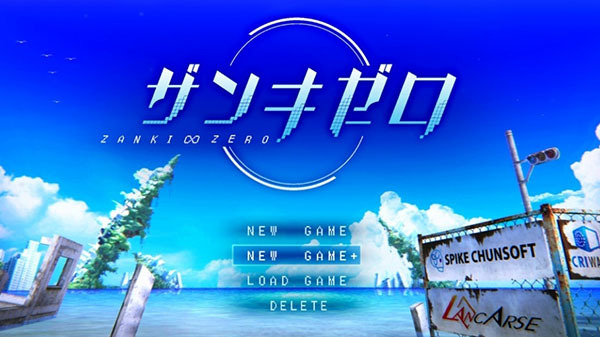 Spike Chunsoft has released the version 1.03 update for Zanki Zero: Last Beginning in Japan, which adds “New Game+” and various improvements to the dungeon RPG. When a character with full possession slots tries to pick up an additional item, the next character will now automatically pick it up. Items can now be transferred between party and reserve members with the press of a button. Cooldown time will no longer occur for characters who do not participate in cooperative attack. The system menu now displays the character’s age. You can now acquire the Trophy (Stage 01 Clear) that you could not have acquired by importing save data from the demo by re-watching the corresponding event in “Album” mode. Adjusted the overall strength of enemies. Reduced damage when crashing into a wall due to an enemy’s attack. Reduced score consumption when selecting “Return to Base” or when the party is defeated. Adjusted the number of days until boss creatures reappear in cleared ruins by half. During breaks, you can exchange stamina to reduce the level of Clione corrosion (does not apply when in “DANGER”). Reduced the level of Clione corrosion when going to sleep in the bedroom (does not apply when in “DANGER”). The “Pet Bottle” island now pops up often on Gareki Island. Reduced load times for some events. Zanki Zero: Last Beginning launched for PlayStation 4 and PS Vita on July 5 in Japan, and is due out for PlayStation 4 and PC in spring 2019 in North America and Europe. A demo is also available in Japan.